Harper Yeats all US states: Youngest person to visit all 50 states. 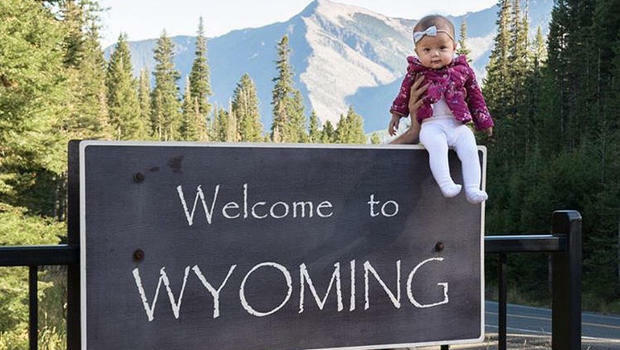 A five-month-old Canadian is about to become the youngest person to visit all 50 U.S. states, thanks to her road-tripping parents. Harper Yeats has been on an epic road trip since she was just eight weeks old, with her parents Cindy Lim and Tristan Yeats. Both Lim and Yeats are originally from Australia and have been living in Toronto for over three years. Avid travellers, the pair have been sharing Harper’s road trip on social media. “Hello from Maine in the USA! We crossed the Canada/USA border earlier today, marking my very first international trip as well as my first USA state,” the family wrote, along with a photo of Harper. Speaking with CBS, Lim said it wasn’t until they crossed the border and looked into the All Fifty States Club that they had the idea of Harper becoming the youngest person in the club. Ethan Conner is currently the record-holder — the youngest person to visit all 50 states — a feat he completed before the age of three. “The real highlights though are all the memories we are making as a family and the milestones Harper is checking off all around the country,” Lim told the Eagle. The family noted many of Harper’s “firsts”: her first solid food in Alaska, first swim in Florida and first laugh in Mississippi. “Although it has not been without its ups and downs (Harper is still an infant after all), it has been a truly positive experience and one which I firmly believe has only enriched our relationship,” Lim told the newspaper. The family plans to complete their journey by stopping in their final state, Vermont, on Oct. 18. “Personally, when she looks back at (the trip), what we achieved, I hope when she looks at the photos and I tell her all the stories, that she can have the confidence that she can do anything,” Lim said.